10 New & Latest Smartphones Launched in India: Are you looking to buy a new smartphone any time soon? We bring you the top 10 new & latest smartphones launched in India. Technology has changed smartphones so much that people want to upgrade their devices every year or even twice a year and it gets tedious to keep track of every new phone that is launched. It is obvious that Apple and Samsung have the largest marketshare, but, Indian and Chinese mobile phone manufactures have caught up on the sales volume with great features, specifications and aggressive pricing to outsmart global players. With JIO, Airtel and Vodafone offering at least 1 GB free data everyday, everyone wants a smartphone to access social media, videos, music and movies over the internet. 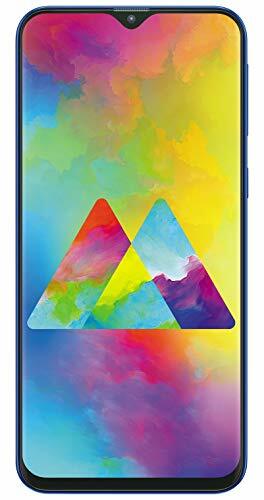 People are looking for good smartphones with great features and screen size, that the ongoing trend, everyone cannot afford to buy an Apple iPhone X (10) priced almost a lakh rupees or a Samsung Note almost 80K INR, there are plenty of other phones that do the same stuff as Apple or Samsung but can be bought at 1/4 of the price of premium brands. Here’s a list of new and latest smartphones launched in India along with buyer reviews on Amazon.in, this is a dynamic list and is updated everyday based on new arrivals.